Isle of Islay is Scotland’s Queen of the Hebrides. Located on the southernmost island of the Inner Hebrides, Islay is best known for its whisky distilleries so best discovered by tour or with a designated driver. However, there are more things to do on Islay than sample the Scotland’s water of life. Have you been to Islay? 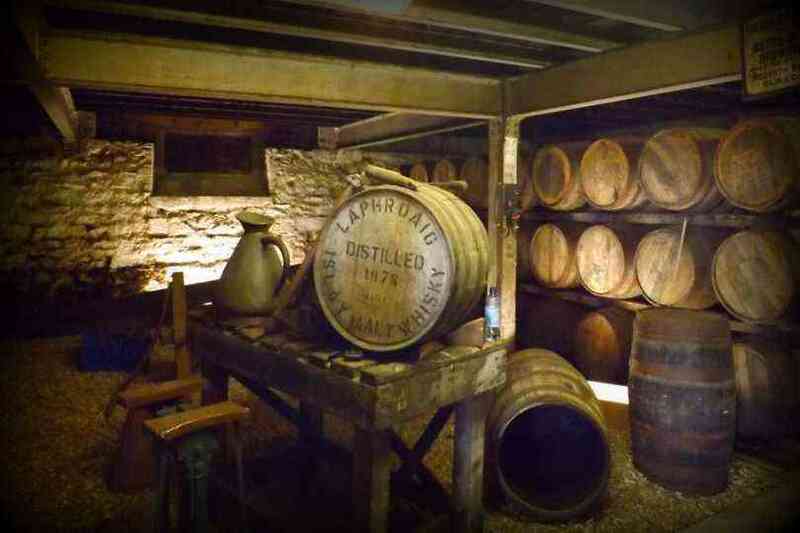 Which distilleries would you like to visit? I’m not lying when I say that Islay is the island of Whisky. There are at least eleven whisky distilleries on Islay which cover the whole map, excluding the northwest corner. The fertile island surrounded by pure water makes for an ideal space for making one of Scotland’s biggest exports (along with meat, chemicals, and textiles). 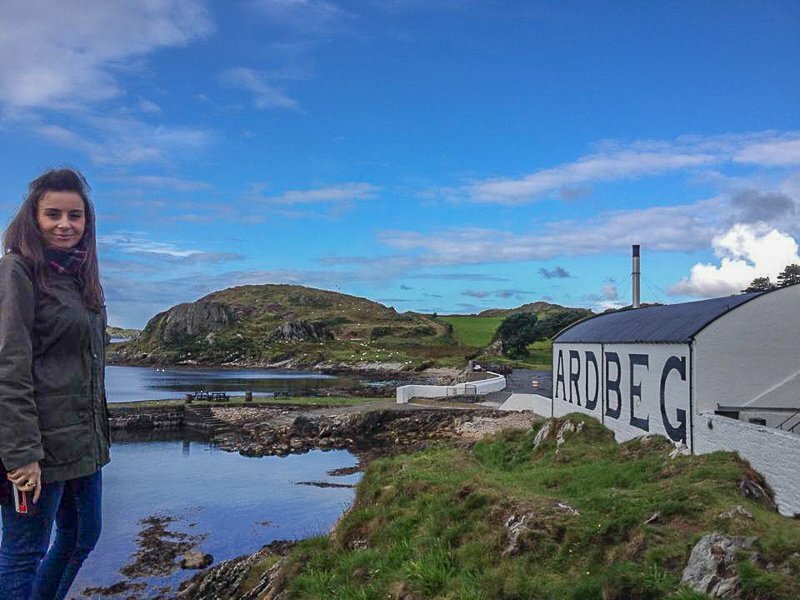 One of the popular distilleries on the island is Ardbeg Distillery which has been making the liquid sunshine for over 200 years and has won the ‘World Whisky of the Year’ award for 4 times out of the last 7 years. The views are worth a visit, even if you are not having a tot. 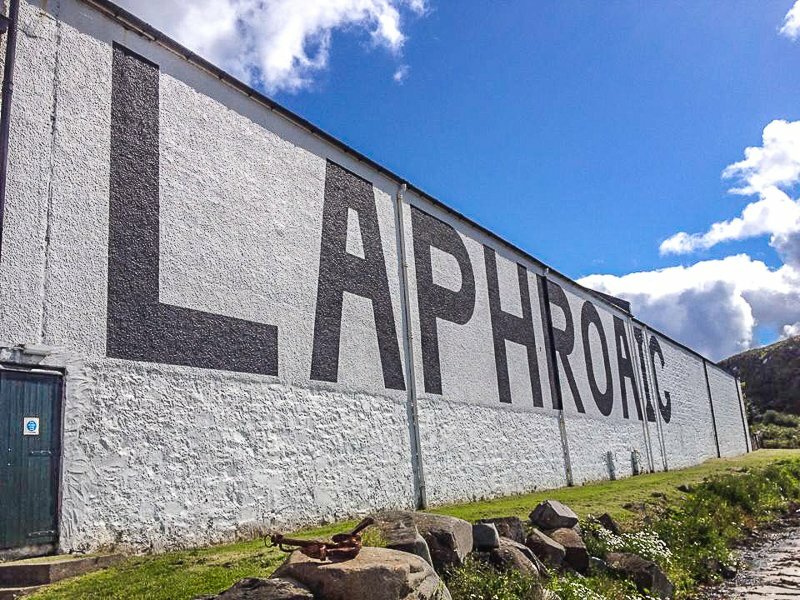 ‘The beautiful hollow by the broad bay’ Laphroaig, is located in the south of the island and has been distilling since 1815. Today visitors can take an extensive guided Islay distillery tour of the premises with quite a few samples thrown in along the way. Islay Woollen Mill is an interesting place. Yes, you can visit Islay to purchase a woollen but the wee shop is more than that. As first timers we were invited to take a short tour of the mill. Visitors may be shown how wool becomes a scarf at such technique. The owner has fitted Hollywood movies such as Braveheart and Rob Roy. Crystal blue waters, fine white sand – no, I’m not talking about the Maldvies! 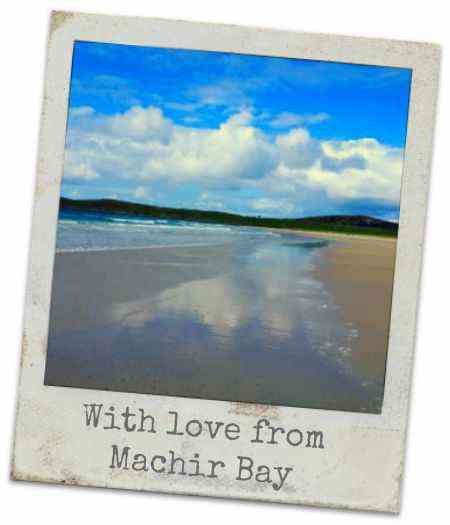 Welcome to our private beach, Machir Bay (also known as Kilchoman Beach or Machrie Beach) on the Isle of Islay. Islay has a handful of beaches worth your time if the weather is right. If you’d like to see more of Scotland’s beaches I recommend checking out our guide to the Isle of Bute which is an easy day trip from Glasgow! This former church is now home to the Museum of Islay which holds over 1600 artefacts from stones to photographs. If you don’t have a car never fear, getting to Islay is relatively easy from the west coast of Scotland. Buses leave from the main bus station in Glasgow, Buchan Galleries throughout the morning, arriving at Kennacraig usually in time for the Isle of Islay ferry. The journey is just under 3 hours and 30 minutes. 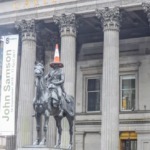 From Scotland’s capital city, you cant take a bus or train direct to the city of Glasgow. Then follow the above instructions. There is a direct ferry from Kennacraig. Alternatively another ferry runs from Oban, Colonsay and Port Askaig. On the more expensive side of travel it is possible to fly to Islay from Glasgow, Colonsay and Oban. Flights are naturally restricted when weather is poor. Smidge to repel the wee beasts. How to you pronounce Islay? A common question asked by tourists. Eye-la is the correct answer (and Glasgow is Glas-go, Edinburgh is Edin-bru). One of the cheaper Islay accommodation options is to camp. You can pretty much unzip your tent to open up facing the sea. Port Mor Campsite is well equipped, clean and has a café. Within a five minute walk for the site there are two hotels, when dined in one and drank in the other. 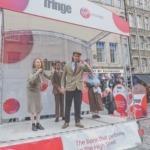 —-> Have you heard about Scotland’s route 66? It’s called the North Coast 500 and starts in Inverness passing through the small villages and stunning beaches of the coasts then back to ‘Snessy! Whisky distilleries and campsites galore. 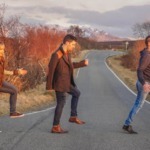 Hot Scot Trip Alert: Have you heard about Scotland’s route 66? It’s called the North Coast 500 and starts in Inverness passing through the small villages and stunning beaches of the coasts then back to ‘Snessy! Whisky distilleries and campsites galore. Have you been to Islay? Which distilleries would you like to visit? I have since found out that Yan’s Kitchen is the place to eat in Port Charlotte. Apparently the cheesecake is a party for the tastebuds. Good tip for the readers. Next time… and we still need to get scones.